Be the envy of your friends! A stylish, ultra-chic, renovated light filled townhouse at the end of a popular parkland cul-de-sac. Free flowing open plan living and dining, renovated kitchen, laundry and bathroom, and great sized bedrooms! Two superb private courtyards for entertaining and you’re set. Nothing to do, just move in and experience the wonderful Leederville lifestyle! 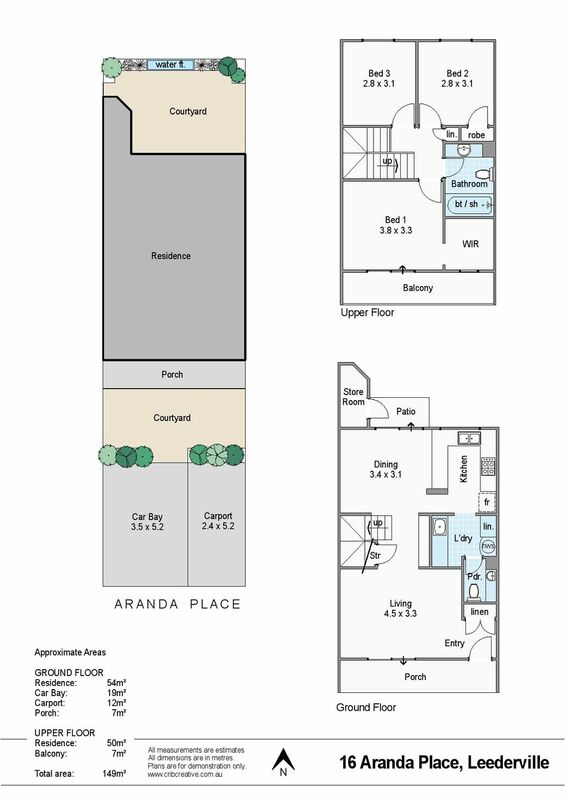 In parkland cul de sac offering the best of both worlds – halfway between the buzz of Leederville and vibrant Mt Hawthorn with endless entertainment, dining, socializing and shopping options on offer! Head out for coffee and cake at Sweet Remedy, Pixel or New Norcia, after work drinks at The Oxford or Leedy, dinner at Pappagello’s, or Divido or catch a movie at Luna. Britannia Reserve and Lake Monger are just moments away and there’s a park at the end of the cul-de-sac too! Walk to the train, cycle to the CBD or hop on the bus… and the freeway entrance is 2 mins drive. Walk score 73 – very walkable! 1. Location to shops is great. We walk down the street for dinner or a coffee 2-3 times a week. 2. The number of parks in the area is unbeatable. Britannia and Lake Monger are our favourite. 3. The rear courtyard is so private and just a great place to be especially on warm nights. 4. It’s a really private townhouse. The trees out the front and the rear courtyard walls ensure privacy.